The first day of the Hackfest sparked off a great deal of discussion. Tom Igoe, is an Associate Arts Professor at Interactive Telecommunications Program (ITP) in NYU, and runs a truly inter-disciplinary course that takes in a hundred graduate students a year from different backgrounds (dancers, musicians engineers, librarians) and trains them in communications technologies, programming, electronics, media production and app development. All useful skills for developing citizen science projects! During the two-year graduate ‘Physical Computing’ programme, students get truly inventive, exploring more intuitive ways of interacting with technology and computers to solve problems. A computer's physical interface is fairly limited (i.e. keyboard, mouse, interactive display), but the ITP projects delve further utilising micro controllers and sensors that respond to humans in a more intuitive way. One of the themes is to examine sustainable practices, and think about solving environment issues guided by students own motivations. One project, ‘Botanicals’ uses a simple temperature and humidity sensor that tweets you when your plant is sick. The group is also working to improve the work of conservationists that track monkeys in the forests. Digital fabrication (more customer-centric “maker” culture) can also be used for humanitarian research goals, and ITP are working alongside UNICEF. Some projects have implications for healthcare/assistive technology. Students have designed a special balance board to help stroke victims regain their balance using micro controllers with two pressure sensors. Most of the tools used by students are developed at low cost and are simple to use. 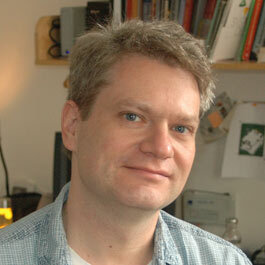 Tom is also a co-founder of Arduino, the open source hardware platform for electronics prototyping platform. It’s flexible, easy-to-use hardware and software. It's intended for artists, designers, hobbyists, and anyone interested in creating interactive objects or environments. ITP Alumni often come back for Summer School for refresher courses, and some projects are transferred into a real world context. Two ex-students, a carpenter and dancer set up Groundlab, and have designed a Lion collar (with inbuilt GSM/GPS sensors) to help African farmers. 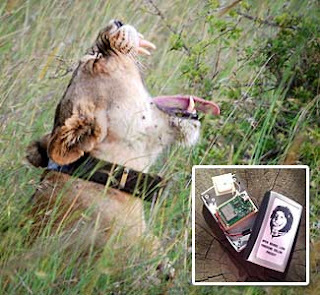 When wild lions come close to a farm-yard area the collar sends an SMS to the farmer to alert them. Takeaways from the presentation: "A project only really makes a difference when you can see how it reflects on your own life, and others lives. It’s all about generating ideas, and it is worth being promiscuous with your own ideas. The 'things' we make are less important than the relationships they support. We can get lost in the novelty unless we remember why we are developing the 'thing' in the first place."